The new iteration of Tesla’s electric sports car recently made its début, just a couple of days after the successful IPO of the company. The Roadster 2.5 is an upgrade of its 2.0 model and those lucky enough to have the previous model can purchase upgrades wherever possible. You can get the new model starting at €81,175 ($101,500). Aside from the new look which you can see in the image above, the 2.5 also has directional forged wheels, a touchscreen display with back-up camera (optional), better seats that offer lumbar support and improved comfort, a quieter cabin and power control hardware. 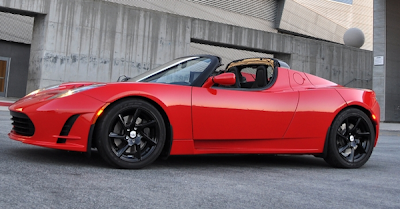 Tesla introduced its electric super car last 2008 and reinvented the way vehicles were manufactured by infusing Silicon Valley tech, engineering and practices into their automobile production. The company boasts having the best battery technology for electric cars in the world and has over 1,200 cars sold, located in more than 23 countries.